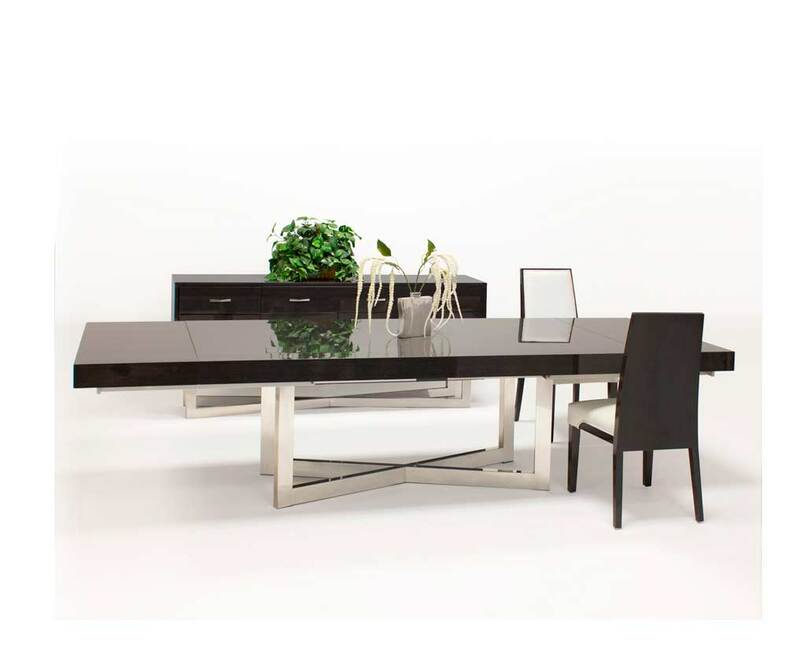 Massimo coffee, console and lamp tables create a unique occassional collection. 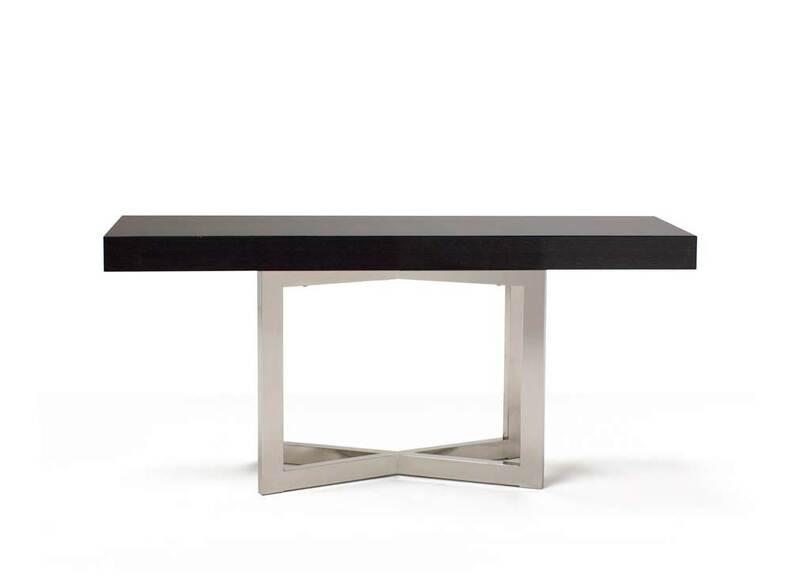 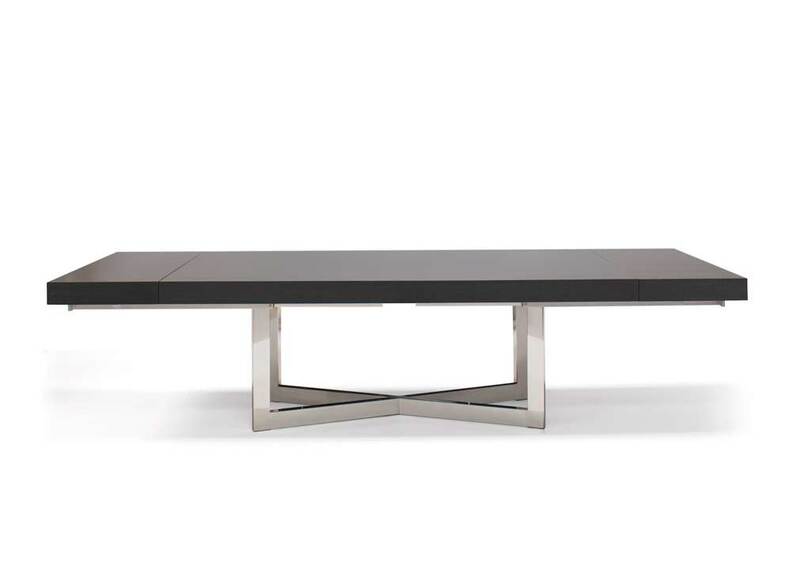 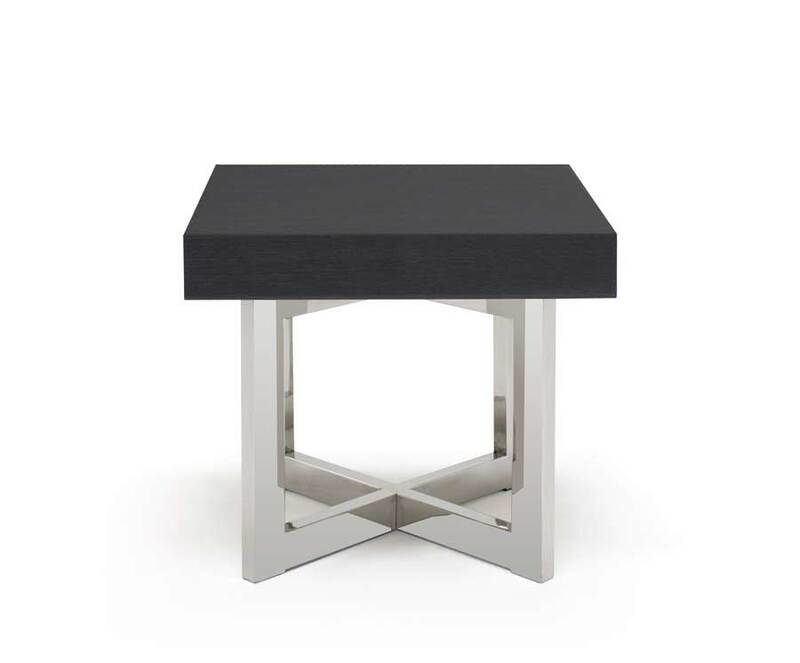 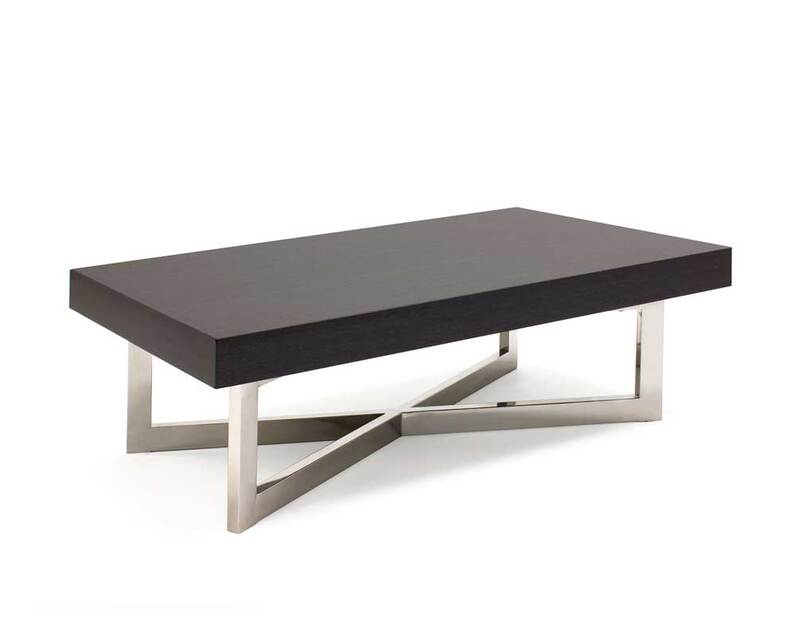 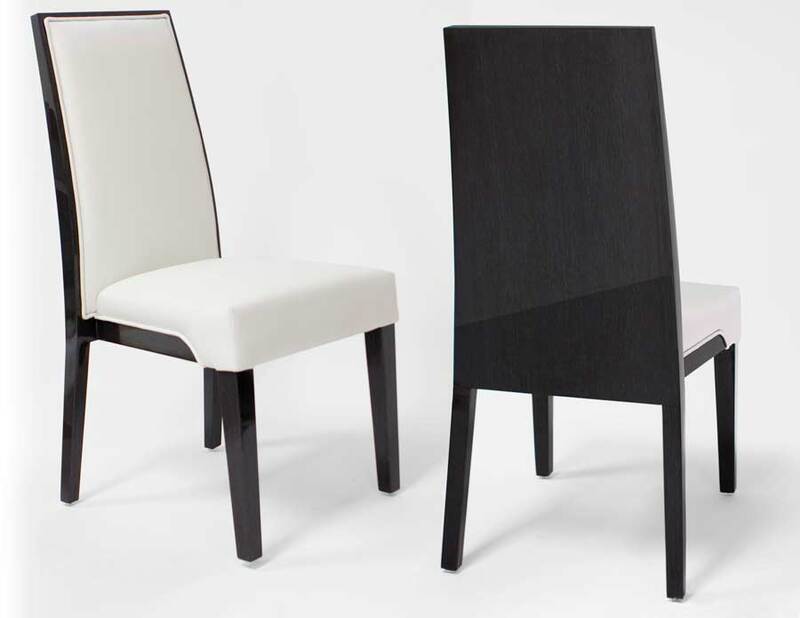 The tables have a beautiful thick gray oak with high gloss top and rest on a stainless steel x-shape base. 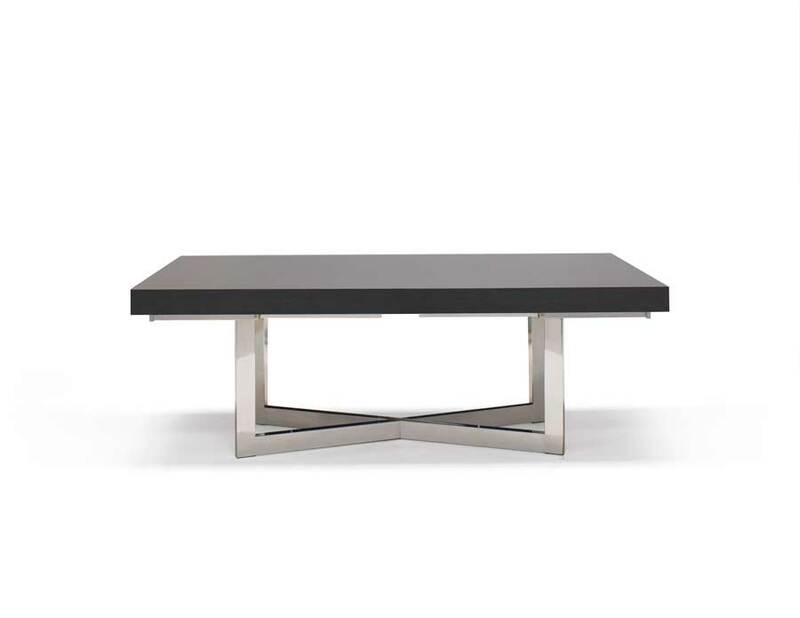 Make a statement with these living room tables.